The Best Screen Printing blogs from thousands of top Screen Printing blogs in our index using search and social metrics. Data will be refreshed once a week.Also check out Top Screen Printing Youtube Channels list for Top videos on Screen Printing. Vancouver, WA About Blog Read the Ryonet screen printing blog and learn the ins and out of the screen printing industry. Tips, events, product releases and feature screen printers. Facebook fans 6,490. Twitter followers 7,251. 2. Reddit - Screen print all the things! San Francisco, CA About Blog This is a subreddit specifically devoted to the art and crafts of serigraphy(screen printing). We welcome most posts, typically: questions, interesting links, tips&tricks, and shameless self promotion. Facebook fans 1,169,326. Twitter followers 528,623. Arizona About Blog Catspit Productions was a full service screen printing shop that morphed into an equipment and supplies dealer. Facebook fans 3,413. Twitter followers 3,103. Central Coast, California About Blog DIY Silk Screen Printing at Home. Kit options for every use. Print on t-shirts, glass, wood, ceramics, metal, and more! Simple, fast, and cheap precoated sheets. Facebook fans 1,492. Twitter followers 129. United States About Blog Get Screen Printing Machine reviews and buying guides. Facebook fans 119. Twitter followers 1,350. Williamsburg, Brooklyn About Blog Pete’s Print Shop is a full service screen printing shop located in Williamsburg, Brooklyn. We specialize in unique printing techniques, providing large & short runs. Facebook fans 474. Twitter followers 90. Bognor Regis, UK About Blog Handprinted, a UK shop and studio for Batik, Screen Printing, Relief Printmaking, Art and Dyeing materials. Supplying the artist, printmaker and craftsperson. Friendly, knowledgeable advice. Facebook fans 1,859. Twitter followers 1,156. Atlanta, Ga. About Blog Impressions is the one-stop source for authoritative business and technical information crucial to building and sustaining a profitable decorated apparel business. We have the latest industry news for screen printing business trends, headlines, and analysis specifically curated for small-to-large printing shops. Facebook fans n/a. Twitter followers 6,027. Lake Bluff, IL About Blog Anatol Blog is a resource where screen printers can find helpful tips and learn more about screen printing machines. Find information on Screen printing equipment, machines from manual and automatic to conveyor dryers, exposure units and flash cure units. Facebook fans 1,167. Twitter followers 1,520. Saint Louis, MO / Marietta, GA About Blog Since 1949 Lawson has been manufacturing quality screen printing equipment and continues to manufacture screen printing and digital imaging equipment/supplies. Lawson provides helpful tricks and tips about how to screen print, how to direct-to-garment print, and how to grow your business. Keep up with the latest news about screen printing, dtg, and embroidery with our screen printing blog and news. Austin and San Marcos,TX About Blog Keep up with the latest embroidery & screen printing news, tips, and techniques for the Central Texas area. Facebook fans 1,359. Twitter followers 361. Australia About Blog We provide the perfect textile inks solution for all your printing needs. We have ink for screen printing and for other fabric printing. Facebook fans 1,847. Twitter followers 2,255. UK About Blog Welcome to the Wicked Printing Stuff screen printing blog, check our website for all your Screen Printing Supplies. We provide a wide range of high quality equipment, products and services at an unbeatable price. We welcome contributions about news, artwork and business start-ups for the screen printing blogs. Facebook fans 1,112. Twitter followers 1,629. Louisville KY About Blog Silverfish Screen Printing prints custom t shirts in Louisville, Lexington and Cincinnati. Facebook fans 572. Twitter followers 94. Facebook fans 1,864. Twitter followers 116. Mumbai, India About Blog Screen Print India is a monthly magazine published from last 21 years and playing an important part in the development of the graphics industry. Facebook fans 57,157. Twitter followers 324. Chicago About Blog One Hour Tees is a custom t-shirt printing company located in Chicago. Facebook fans 10,119. Twitter followers 82,351. Asheville, NC About Blog We are Asheville's Premier Apparel & Printing Company. We specialize in Screen Printing, Print & Marketing Design, and Business Merchandizing! Facebook fans 812. Twitter followers 6. USA & Europe About Blog Our mission is to make ordering great quality screen-printed t-shirts as quick and simple as possible. Facebook fans 461. Twitter followers 1,257. Canada About Blog R&P Prints is currently among the fastest growing printing companies in Canada. We are dedicated and committed to providing our clients with a full array of custom screen-printing and embroidery services. Facebook fans 861. Twitter followers 212. Facebook fans 373. Twitter followers 613. Flemington, NJ About Blog Find Screen Printing, T-Shirt Printing, Sublimation Printing, Cut and Sew, Embroidery, Rhinestones, Patches, Contract Printer, Promotional Items and more! Facebook fans 358. Twitter followers 236. Saint John, NB About Blog Printworks is a custom screen printing and graphic design company. We design and print awesome t-shirts with the fastest turnaround time in town! Facebook fans 1,966. Twitter followers 315. Cornwall UK About Blog UK t-shirt printing company. Established more than 40 years. Specialising in water-based screen printing, oversize prints. Facebook fans 9,179. Twitter followers 1,202. Manchester About Blog The Print Room's blog - get the inside word from our factory. See a range of our most recent screen print, embroidery and branding jobs. This is the place to gain further understanding about our business and how you can create the best people branded merchandise for your business. Facebook fans 2,676. Twitter followers 1,605. Philadelphia About Blog Cheap and quality screen printing in South Philadelphia. We print shirts, other stuff too but mostly shirts. Facebook fans 1,692. Twitter followers 557. Blauvelt, NY About Blog Fusion 180° Ink is the Ink of the future! This low cure ink can print on heat sensitive materials including nylon, non woven bags, and cotton. Facebook fans 24. Twitter followers 81. 29. Trust Printshop - A blog about screen printing. Dallas/Ft. Worth About Blog Get updates on News, advice, and information about t-shirts, garment printing, design, and community. Facebook fans 781. Twitter followers 437. Atlanta, GA About Blog We're a custom screen printing shop specializing in super soft, comfortable, eco-friendly water based, discharge inks on t-shirts as well as posters. Facebook fans 804. Twitter followers 248. Spokane, WA About Blog Custom Apparel Bringing your custom designs to life with Screen Printed T-Shirts, Embroidery, Promotional Products & more! Get updates on industry new and tip & tricks when it comes to your next big project! Facebook fans 351. Twitter followers 36. United States About Blog The Leader in Used M&R Printing Equipment. Also sell Reconditioned Textile Printing Equipment ! USA About Blog New Duds Screen Printing and Illustration is a screen printing shop located in Winooski Vermont, offering custom printed t-shirts and other apparel, as well as our own line of unique screen printed gifts. Facebook fans 1,670. Twitter followers n/a. Birmingham About Blog Advance Printwear have over 20 years of experience in custom printed clothing & embroidery. All done in-house with the latest technology. Facebook fans 907. Twitter followers 607. Grand Rapids About Blog Check out our blog to learn more about screen print, embroidery, and promotional products! Facebook fans 122. Twitter followers 88. Lakewood, OH About Blog AGS Printwear is a division of A. Graphic Solution, Inc. and is located in heart of downtown Lakewood, Ohio. We are a full service screen printing, design and embroidery company. We have been screen printing, designing and embroidering apparel for northeastern Ohio for over 15 years.Custom tees that are sure to please. Facebook fans 100. Twitter followers 13. 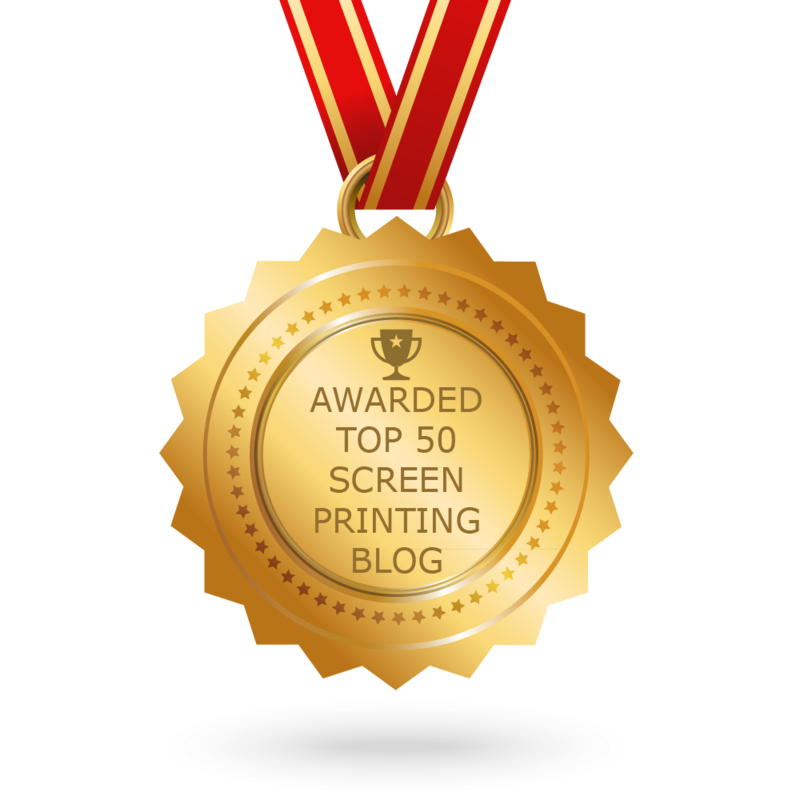 CONGRATULATIONS to every blogger that has made this Top Screen Printing Blogs list! This is the most comprehensive list of best Screen Printing blogs on the internet and I’m honoured to have you as part of this! I personally give you a high-five and want to thank you for your contribution to this world.